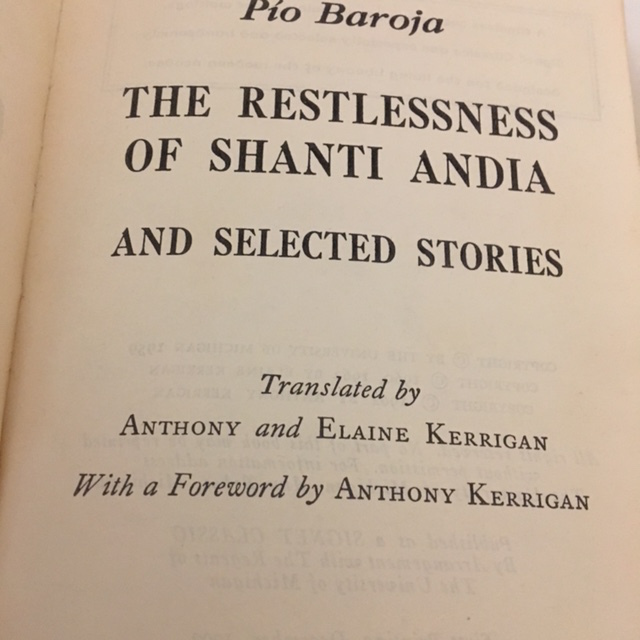 This entry was posted in Spanish literature and tagged Pío Baroja, RL Stevenson, The Restlessness of Shanti Andía by Simon Lavery. Bookmark the permalink. 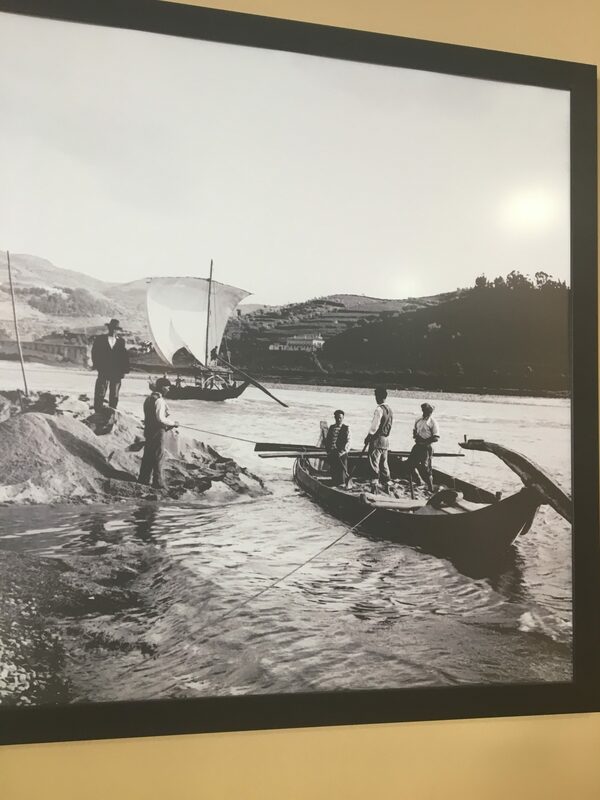 They built dams in the Douro some years back; before then the river was treacherous, and there were numerous accidents, apparently. The rabelos were designed to cope with the shallow draft and fierce currents. 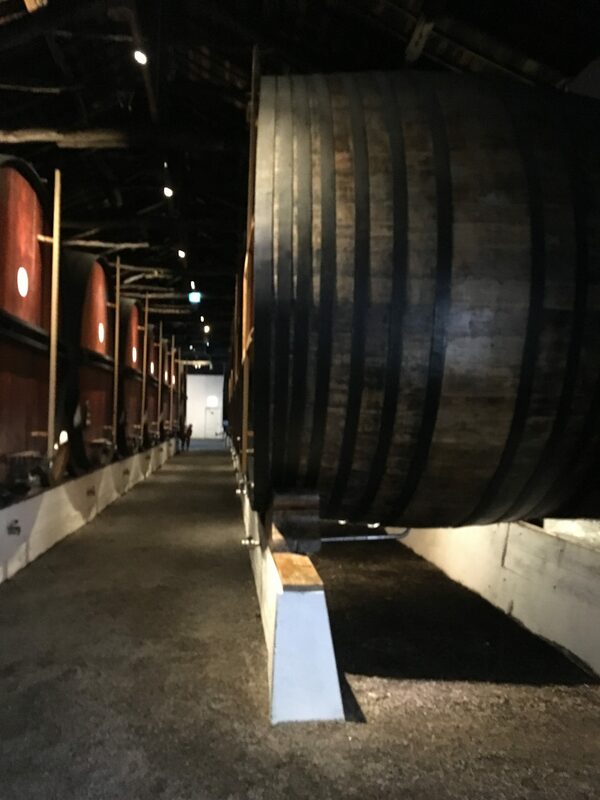 The Taylor’s cave was quite something: vats holding hundreds of litres of wine…and lovely wine, too. Thanks so much for your notes…and visiting the port vaults sounds like a blast! 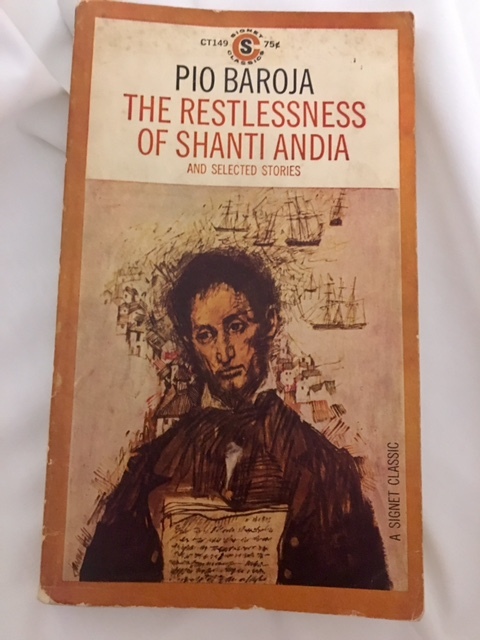 Dwight: thanks for that comment; I was hoping someone with greater knowledge of Baroja would provide an alternative view. 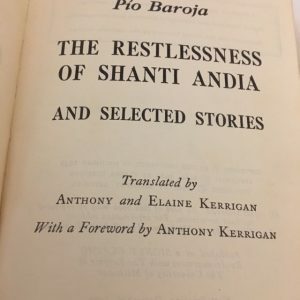 I found the first few books more engaging than the rest. Maybe I should give the ‘tighter’ ones you mention a try. I don’t like writing negative posts about a book, so when I do I’m always gratified when readers point out features that perhaps I had missed or need to reassess. That quotation is typical of PB’s prose at his best; he writes well about times past, with a melancholy pessimism. And yes, the port vaults & exhibits were brilliant! Thanks for dropping by & taking the time to comment. I understand (and agree) about not enjoying writing negative posts, but if something doesn’t click for you it doesn’t. I think he’s worth checking out some more, although his books can be hard to find in English, but I can see where his style isn’t going to appeal to everyone. I look forward to reading more about your trip! 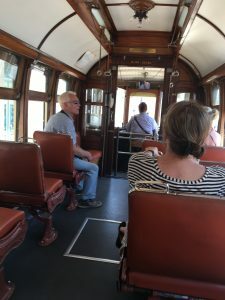 Thanks again, Dwight, and I enjoyed browsing your blog, A Common Reader, and would recommend it to anyone who finds mine of interest: he has some excellent posts there on some well-known books, and others I didn’t know. More on the Portugal trip is imminent! Sounds like a great trip but not a great book, or at least not a great book for that trip. And while I’m overusing “great”, isn’t riparian a great word? Delighted to see it used. Maureen: I hesitate before posting personal stuff like those photos, but I’ll try to comply. Porto was a lovely place to visit, and I’d like to explore further, like Coimbra, with one of the most ancient universities in Europe. Oddly enough, I nearly moved there with a chum many years ago; he had an apartment there, and we explored the possibility of starting an IT business together – he had the IT expertise, I had a little, plus could have taught technical English. Alas, it never came to be, but I’ve often wondered what might have been. But I loved my time in San Sebastián: the Basque country has a special magic, it’s an enclave of weirdness and has a special aura. Beautiful coastline, mountains looming over it, green and undulating – just beautiful. I’ll dig out an old postcard or two, if i can find them.